Four tall stacks adorned with flying pigs welcome you to Sawyer Point Park. 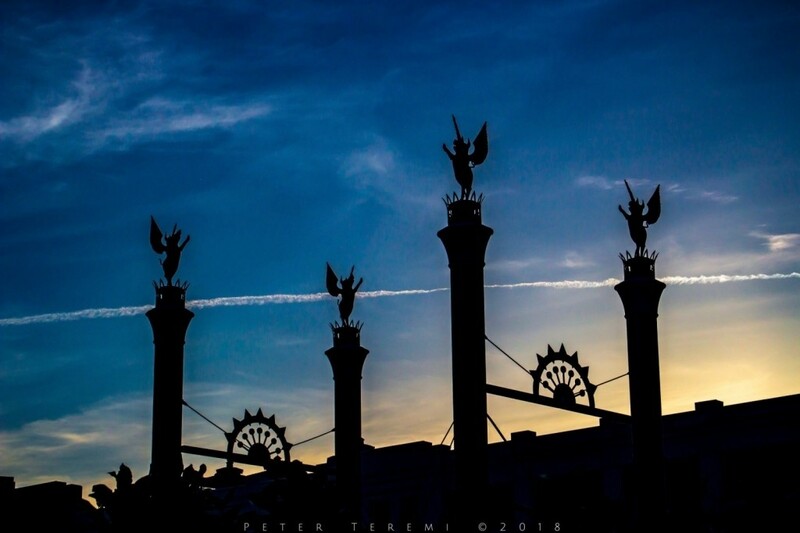 Part of the Gateway Sculpture, it is the official entrance to Bicentennial Commons at Sawyer Point and represents steamboats that brought early settlers to the Cincinnati area. Happy Taste Of Cincinnati from Murphy-Cam!